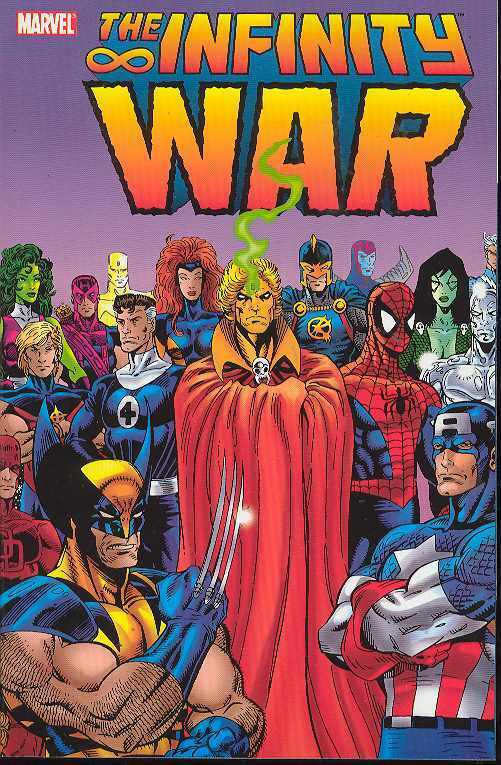 Collects INFINITY WAR #1-6, MARVEL COMICS PRESENTS #108-111 and WARLOCK AND THE INFINITY WATCH #7-10. After Adam Warlock’s return in INFINITY GAUNTLET, his worse half—the Magus—wasn’t far behind! The struggle for ultimate power over the universe continues when a stockpile of evil twins overwhelm the Fantastic Four, the Avengers, the X-Men, the New Warriors, Alpha Flight and more! Will the universe be saved, destroyed…or both?